Angel Cabrera is an Argentine professional golfer who plays on both the European Tour and PGA Tour. He is a two-time major champion, with wins at the U.S. Open in 2007 and the Masters in 2009; he was the first (and only) Argentine to win either. 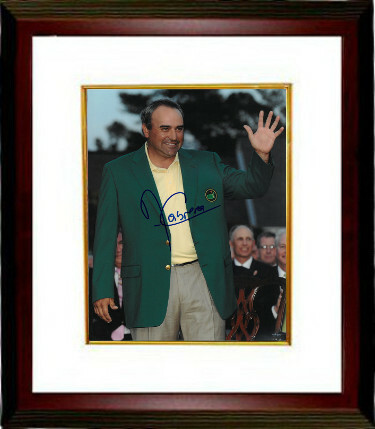 Angel Cabrera has hand autographed this 11x14 Photo. Certificate of Authenticity from Athlon Sports Collectibles. Custom White Mat and Premium Mahogany Frame as shown.